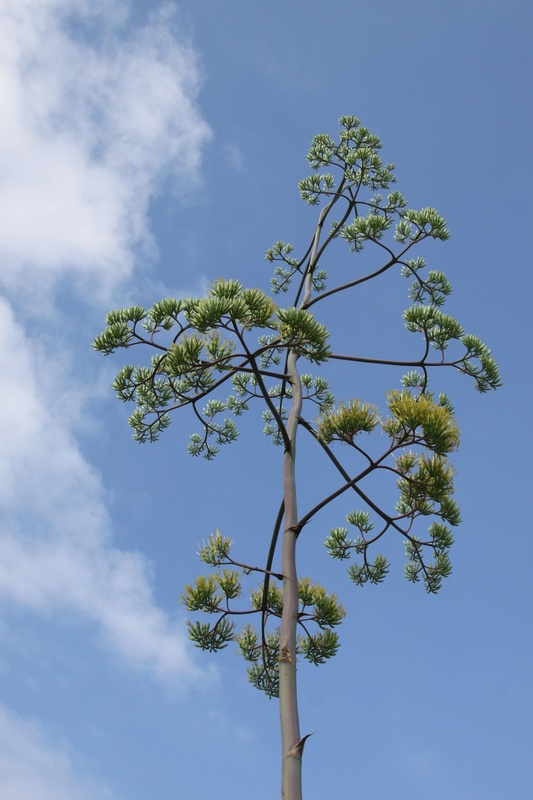 Something called the Century Plant is going to qualify as a relic today. St. George Island. When I went down for vacation I got to see it first hand. 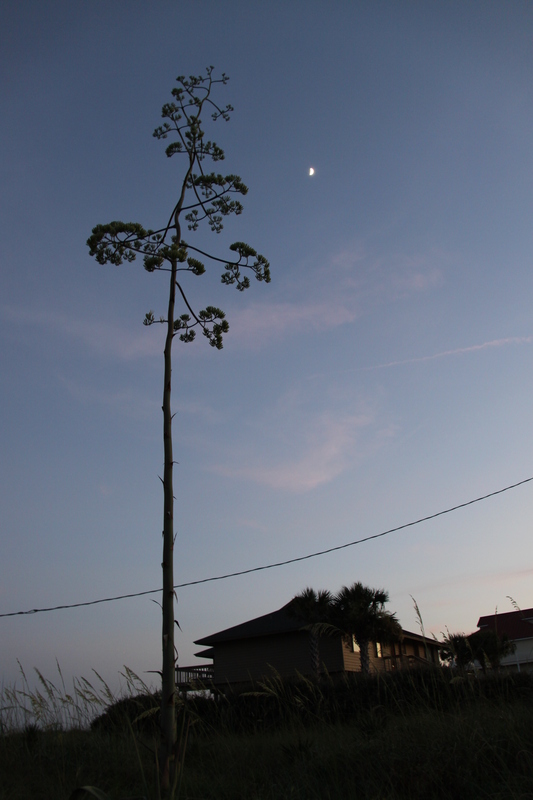 I couldn’t believe how tall it had grown. 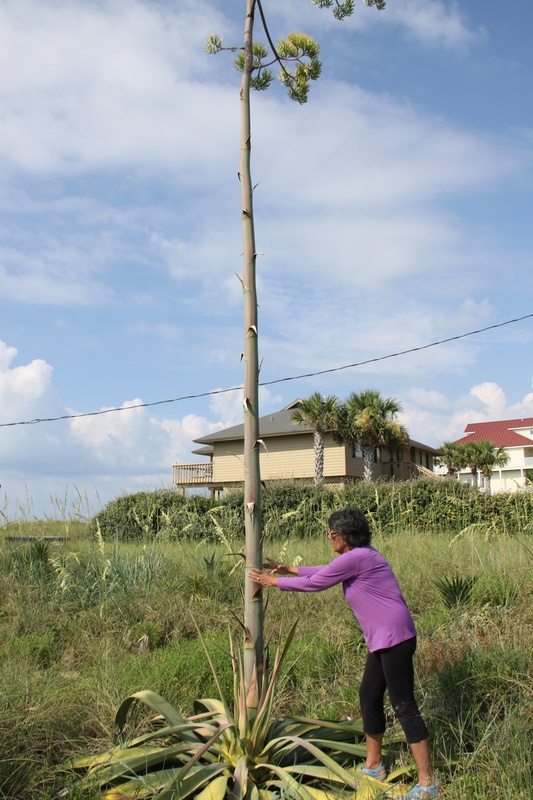 It is definitely at least twenty + feet tall! It was preparing to be in full bloom- and then it will die. 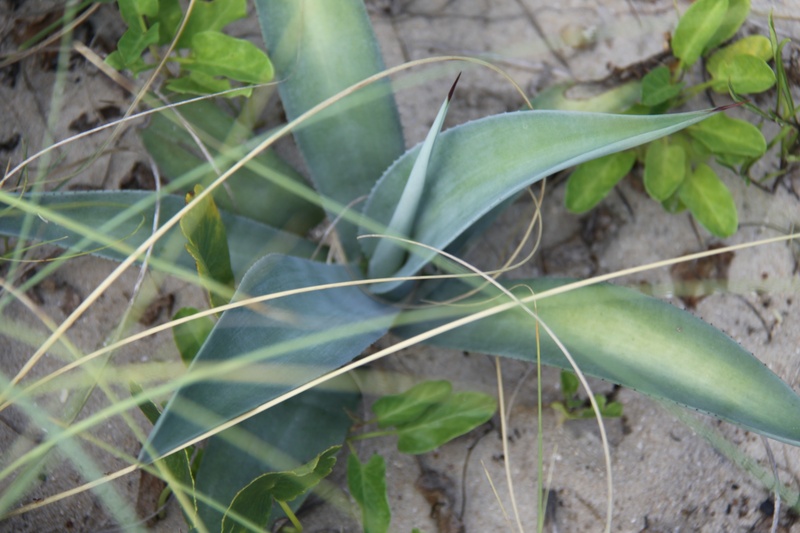 I saw some other Century Plants on the island in different stages of their life cycle. Kristin sent me these photos on the phone and said, “Wait until you come and see it in person.” She wasn’t kidding. I took some photos of it too. I used a flash at sunset and it makes the buds look interesting. 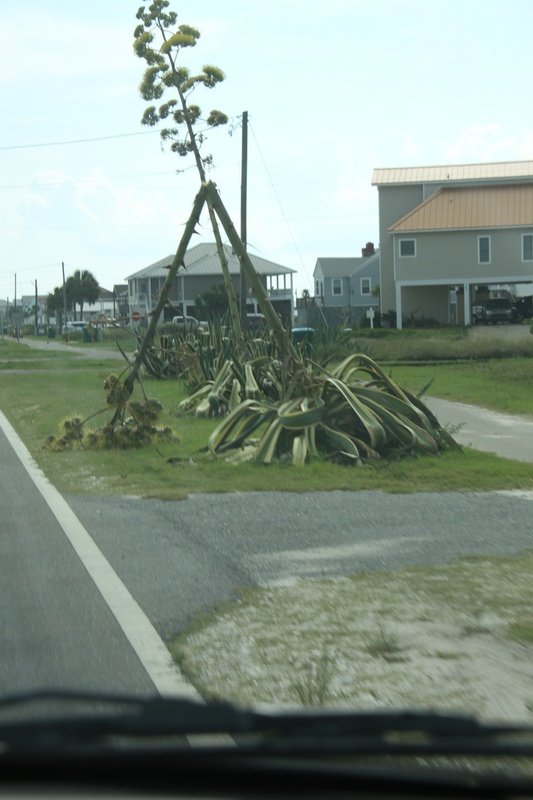 Someone else’s Century Plant fell over. Wow! Great shots of our amazing “tree”! 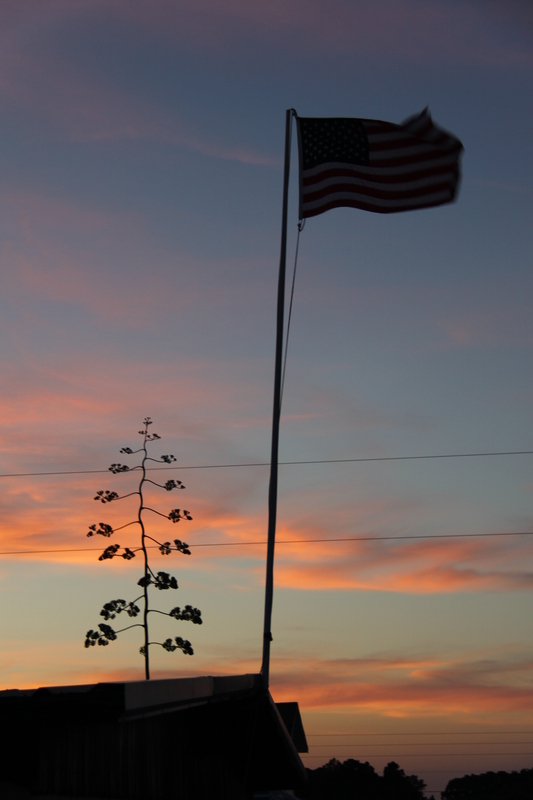 Love the photo with the American flag! 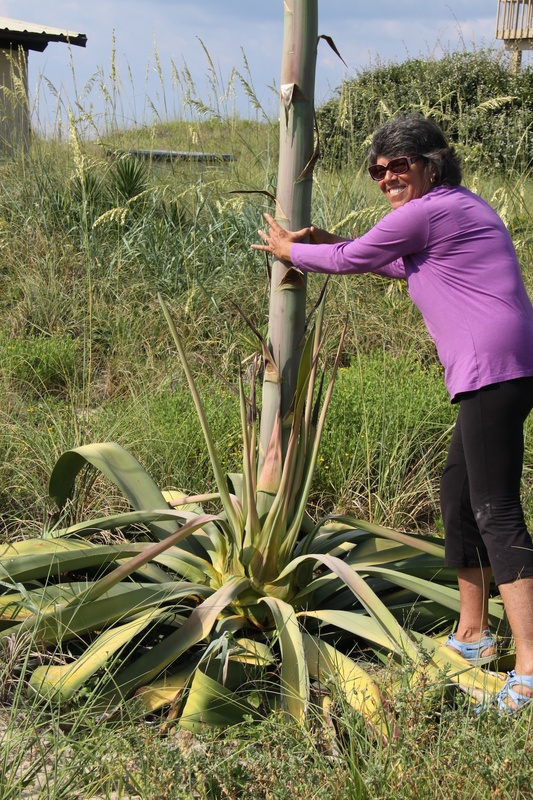 I’ve always loved these plants – I was amazed at the thickness of the stalk on that one!! I never heard of that plant before. The photos are pretty amazing. Great interpretation! I would not have thought of this. Bravo Ruth! Thanks Kathryn. I guess it was a bit of a stretch. Thought relic was a hard one. THanks for you nice visit and leaving a comment. Wowzers, that’s a big plant! 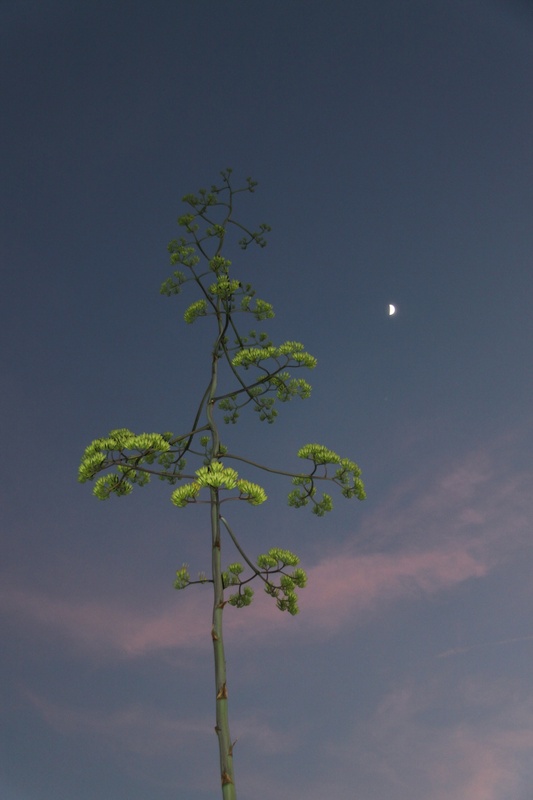 I really like the twilight shot – pretty sunset and moon contrasted with the leaves of the plant.